I haven't done much (read: any) textile arts recently but that's because I've been gathering inspiration from further afield - much further afield. In mid-March, we endured the long flight to Egypt. It is an amazing country and I've returned with many images, which I expect will influence my textile art in the future. 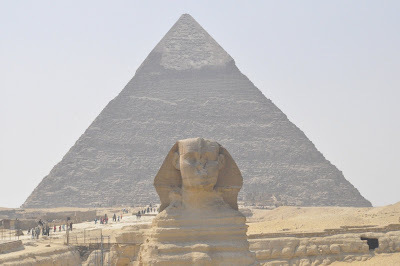 The pyramids and the Sphinx are almost cliched images of Egypt. 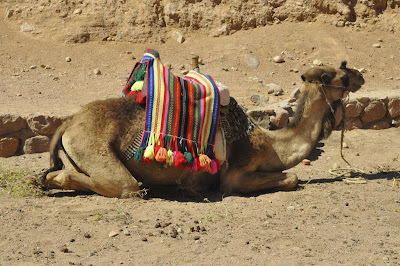 As are camels (I didn't manage a ride on this trip but I've done that in central Australia). 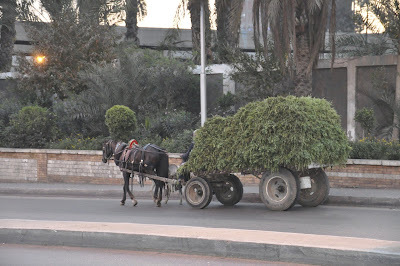 Cairo traffic included some vehicles that aren't usually found on Canberra streets. 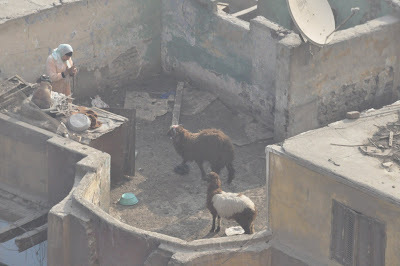 And, perhaps, the most unexpected sight was this rooftop farm in the centre of Cairo, which we could see from our hotel room. 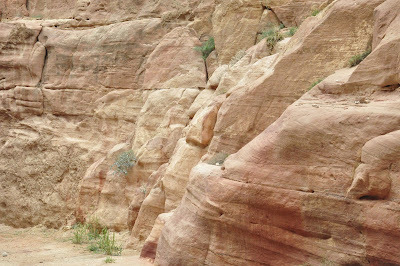 We also had a day-trip to Petra, where we saw these beautifully coloured rocks. Thanks for sharing some of your photos Monica. Sounds like you had a great trip. The rooftop farm is an amazing concept. I am currently undertaking a PhD, exploring clothing and textile sustainability. Come on Over to My House!